My op-ed on the debate about the hosting of the anti-Semitic Pacifica Forum by the University of Oregon has been published by the Oregon Daily Emerald. Update: I was shocked at the crudity and intellectual poverty of the comments. I felt naive when I read them. I shouldn’t have been surprised that public discourse at the UO shares the tenor of the screeching news programs and scurrilous reality shows that I had thought the exceptions but which are clearly the rule. But I was. Ick. Last night on our way to see our grandson wrestle in Shelby, North Carolina we stopped at Alston Bridges Bar-B-Q. We had been looking forward to eating here as its one of the few Western Carolina barbecue restaurants influenced by Warner Stamey. Our disappointment ran high. The barbecue slaw was good as were the hush puppies- – – (shaking my head) alas alas the pig is on the grass – the barbecue itself was middlin’. Nice people working there, very crowded… what. Propositions, prepositions. Is there a correlation between general personality traits and preference in modes of writing? Aristotle may have thought poetry a preparation for death, but most poets have seemed intent upon putting it to death. This bit of jargon has the virtue of suggesting simultaneously things about carelessness and inattention alone. Folder, in his first publication, appeared to be on the trail of a metaphoric appoggiatura: the calm before the storm.# With his “Sonnet For a Landlocked Numeral” and the enduring “Bacon Critters,” Folder had stepped over the bounds of what Van Wyck Brooks called “The Wine of the Puritans” (London, 1908). But what, then, do Ruskin, Carlyle, Coleridge or Hegel mean to the composer of The Savage Butcher of Carnale? He cries “Give the rhyme crank a hearty foamy Calvinistic dot;” he implores us to “skate methodically.”# Yet the dog threw his work away. The salvation of the poetic sensibility is in our state. With the discovery of Bob Folder we have, unleashed upon us, the semantic equivalent of the Gatling gun at the Battle of Syracuse. One instantly recalls Professor Creasy’s third-favorite slaughter for its metaphoric pronunciation of the fundamental hypothesis that events of controversial importance are rarely earthquakes, wildfires, revolutions or Acts of God, but often of a more antebellerophontic nature, a synchronal choice: the drawing of water from a tainted well, the starboard toss of a boomerang, the carbon-chain reaction of yeast rising. To wit: “Epimenides says that Cretans are liars. But he is a Cretan. Therefore he lies. Therefore Cretans are not liars. Therefore, he speaks the truth. Therefore, Cretans are liars. Therefore, he lies….” This distillation of skeptic sophistry is roundly transcended in Folder’s work. With the line “Fall like a leaf from the sea,” (Poemland,) Folder has effectively negated and substantiated all absolutes. He has brought to light the insufficiency of eschatology, torn down the Berlin Wall of moral disorder, given us the victorious and irresistible element of humor in expatience. The seemingly flippant titles, expectorant references, religious opprobrity; all belie a deeper organic methodology: not just the divergent tasting of, but an unconditional swallowing of DeQuincey’s “latent capacity of sympathy with the infinite.” Laugh and the world laughs with you. My essay on the Constantine P. Cavafy’s Julian the Apostate poems has been published on the University of Michigan’s Cavafy Forum online journal. 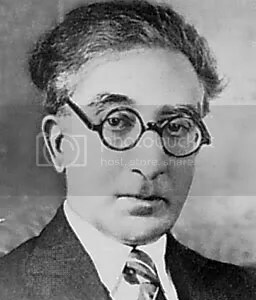 Cavafy is a Greek Alexandrian modernist who worked around the turn of the 20th century. 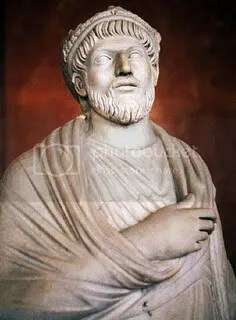 The Julian poems are a series of historical poems about the last pagan emperor of Rome. My contention is, basically, that in denying Julian, Cavafy is embracing himself, the real Cavafy, with all his trials and shortcomings, rather than electing to live in an imaginary past, however attractive. Considering the fact that I once wrote a poem, “Reading Cavafy,” about how I’d never revisit the historical poems, writing the essay was as much of a surprise as actually placing it. The University of Michigan’s Modern Greek Studies department’s Cavafy Forum is here. Directly download a .pdf of Denying Julian here.